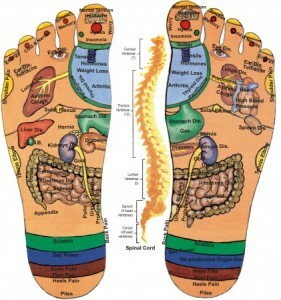 Reflexology is accessing the body’s map of the nervous system. 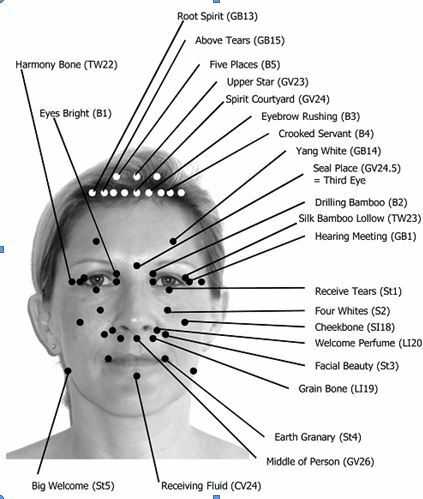 The ear,hand,foot,eyes and various other areas all contain information on what’s going on in the body. 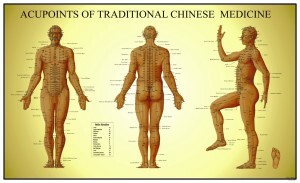 the point on the map stimulates the part of the body being treated. Very effective and easy to do. Hand reflexology is a diagnosis and treatment system where pressing of certain points on the hand will correspond to different parts of the body. 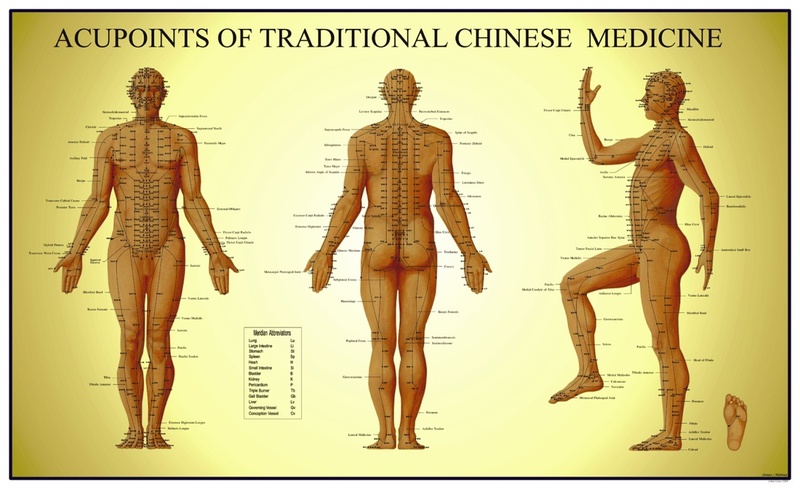 Each finger is a different meridian line and there are many important points on the hand. 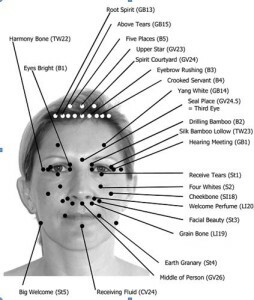 The face is also a map of the body that when certain points are pressed, they increase blood circulation,help remove wrinkles,relax the muscles and bring a brightness and energy to the face. The 8 essential standing exercises are designed to open the channels of qi energy and enhance energy. When done slowly with the breath they are relaxing to the body. When done in a more vigorous fashion they will energize the body. Please note the description under each exercise. How many times have I heard people say “I just want to be happy”. When I ask the question, well what makes you happy? I’ve heard some doozies, but a common answer is “I don’t know” “I’m not sure”. This topic is a charged one for sure. Even the constitution guarantees the right to life, liberty and the pursuit of happiness. Key word is pursuit,as in pursuing what makes you happy. It stands to reason that if one doesn’t pursue happiness, as in health, that quality of life can remain elusive. In coaching we use the phrase “Coaching from the inside out,not according to circumstances”. What does this mean? When we know certainty or clarity making decisions are easy and obvious. Once we become clear internally,trusting our heart and higher consciousness, the results can be magical. The first step to the secret of being happy from within is to create an intention.The idea is to know what we want in our lives. In this case what makes you happy. For example, I enjoy traveling and being free on the road. My intention may look like this. I am traveling in Italy.I write the intention as though its already happening in present time and then let it go. On a simpler note, I may want to attend a concert, my intention may be ” I am enjoying Tom Petty and the heartbreakers”. What this does is activates the universe to create the action I am intending,effortlessly. Some people call this manifesting.It happens all the time ,why not allow it to happen to you. The second step to being happy is Gratitude,that’s right being grateful can make us happy anytime. When I am grateful, I am in the present moment,in the knowing that all is well RIGHT NOW. If I’m not worrying about the past or the future, I can be fully present to what is. That’s where God lives and where the magic happens.I know, I didn’t believe it either until miracles happened to me so many times, I started expecting it. Much easier than living in fear and worry,thank you very much. From this place of presence, happiness springs eternal. What makes you happy is obvious and presents itself magically.Standing in my garden watching the bees do the pollinating thing,wondrous and magical,next thing I know, I’m smiling at this wonder of nature. If I was thinking about my day,I may have missed that moment. The third step is Acceptance of what is or “Don’t sweat the small stuff” When we accept things as they are,we are not disappointed.Not being attached to the outcome of a situation and not taking anything personally.This is probably the most difficult concept for people to accept as it takes conscious thought to shift a belief that we may have been holding on to for a long time(This is how things should be).Ask for what you want and accept what comes back.Some people may have a belief that asking for what you want is selfish,but that is the topic for another time.